The amenities in your new Houston apartment community will allow you to live your best life. 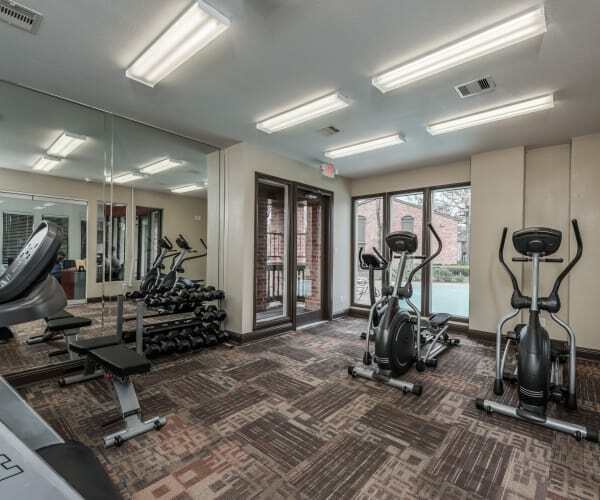 You’ll no longer need a gym membership with our resident fitness center that’s set up with all the equipment you need for a challenging workout. On warm days, you’ll have three pools to choose from when you want to cool off. On weekends, the kids can burn off energy at the community playground while you take in the Houston sunshine. Plus, save time with a laundry facility right onsite to clean your linens and clothes. If you’re ever in need, our onsite management is here to help. At Rock Creek, we’re dedicated to helping you live the life you love in a gated community you’re sure to feel at home in. Inside your new apartment home at Rock Creek Apartments, you’ll see stylish features at every turn. A fireplace in the living room is not only cozy, but eye-catching. Sleek black appliances in the kitchen provide just the vibe you desire in a suburban home that’s still modern. Choose a floor plan with an in-home washer and dryer, or bring your own and take advantage of the washer and dryer connections in every apartment. We designed our Houston apartments with you and yours in mind. Contact us to schedule your personal tour. 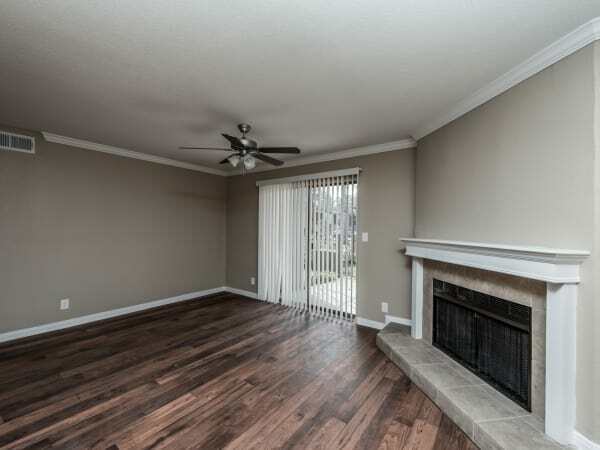 We’d love to show you around our affordable Houston, TX, apartments for rent.